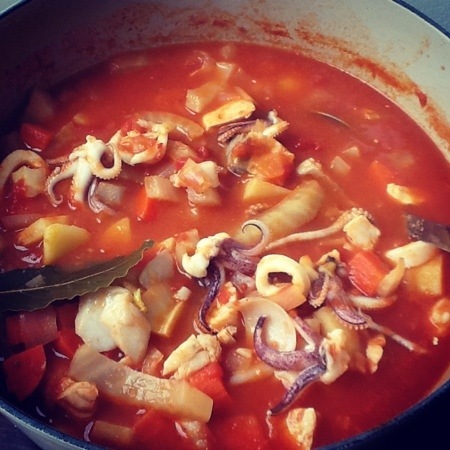 Ligurian Fish Stew | One Picture, A Million Words. Instead of Friday Night Chicken, we had fish for dinner. Decided to go with the one pot meal route and made the Ligurian Fish Stew by Giada De Laurentiis. I liked it. My kids did not care for it. They filled themselves with the ciabatta I served together with the stew. Better luck next time, Mom.